A fun dance and fitness fusion for your mind, body and soul. 45-minute dance sessions incorporating a fusion of dance styles (Hip Hop, Jazz, Ballroom). 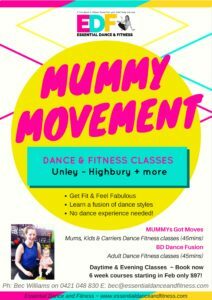 Get fit and active as you learn fun and funky dance styles! Learn a new style every 2 weeks! DIVA, OLD SCHOOL, MUSICAL THEATRE! BREAK -UP SONGS, DANCEHALL & A TASTE OF BURLESQUE and more! 45-minute low impact dance sessions incorporating a fusion of dance styles (Hip Hop, Jazz, Ballroom). Learn short dance routines and simple movements to songs that make you wanna move! Perfect for mums who want to get active (post-natal) and start feeling good! No dance experience needed! 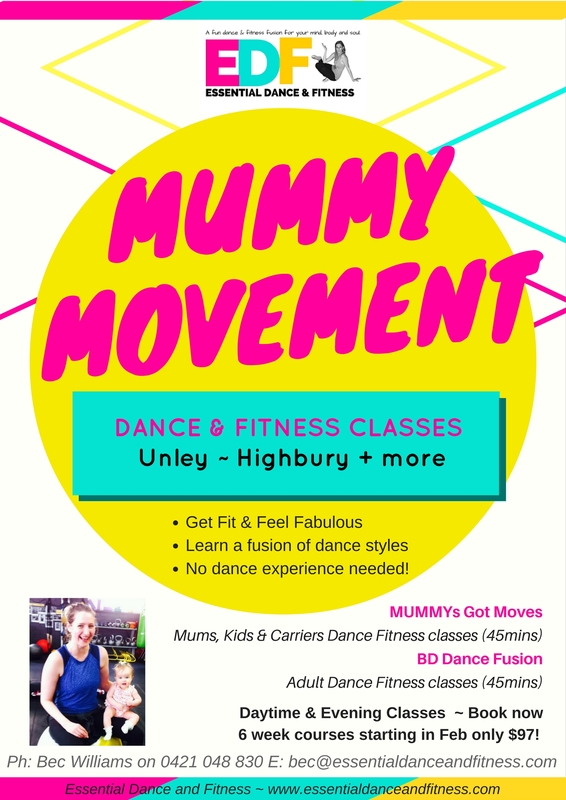 Meet and connect with Mums and in your community as you boogie on down in a fun and relaxed atmosphere!